The control unit and the power unit are assembled on the same circuit board. The stepping motor can be connected directly to this controller. 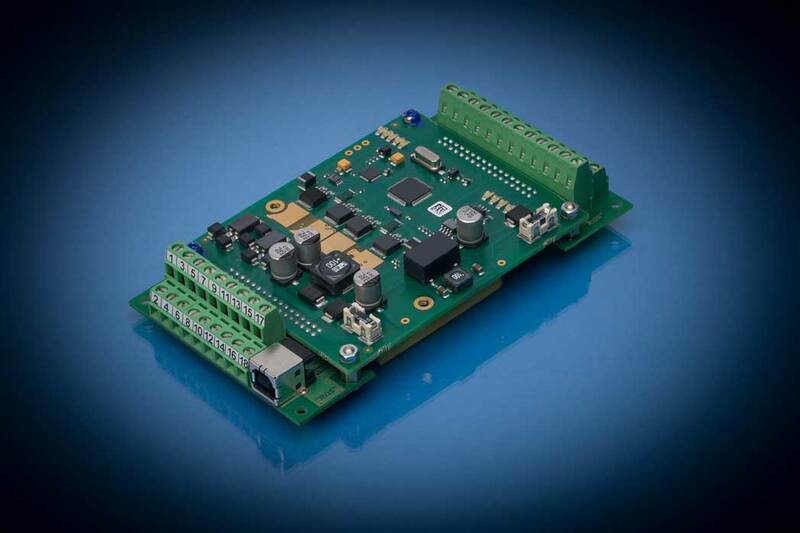 Our software solution PSC (Personal Stepper Controller) is always included. With PSC you are able to build individual applications on a graphic interface by inserting functional boxes. On request, we can do this for you. The modular and flexible concept enables comprehensive applications by using different wiring technologies.